Learn the entire publishing process, from compiling a manuscript to pitching an agent to marketing your book. 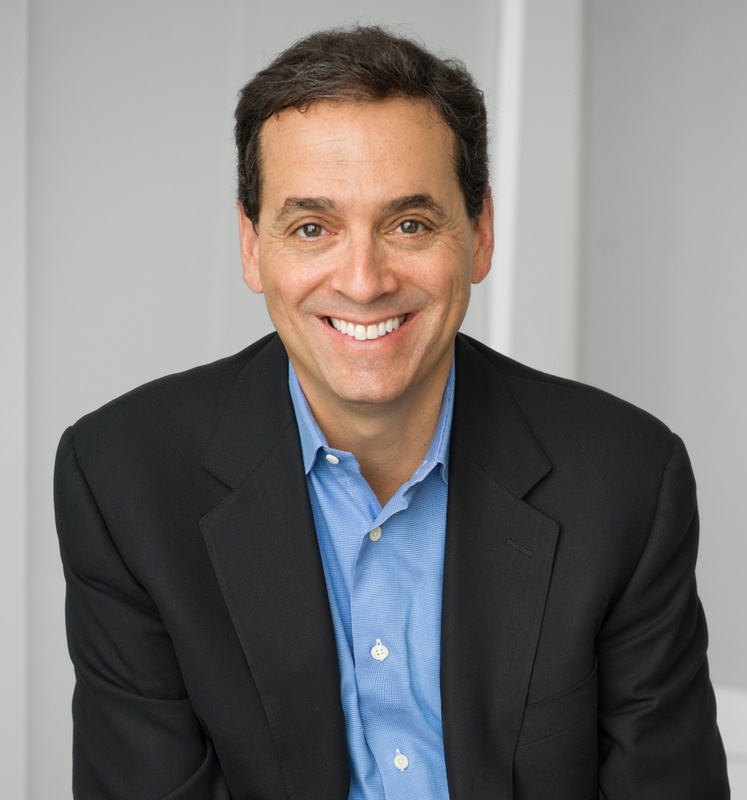 Master high-impact writing with author Dan Pink. It’s an incredibly exciting time to be an author. People are open to new ideas, readers are consuming content through a variety of media, and traditional publishers no longer stand in the way of releasing a new title. Publishing a book has always been one of those mysterious, cryptic processes reserved for the uber-famous or uber-rich. Books just seem to appear on the bookstore shelves … but they’ve got to come from somewhere, right? Right. Nowadays, they come from multiple sources, which is good news for those of us who aren’t uber-famous or uber-rich. Regardless of your status, income, hometown, or connections, you (yes, you!) can publish a book. All you need is a great idea, an even better sense of perseverance and patience, and this guide. Keep reading to learn more about publishing or use the chapter links below to skip ahead. Publishing is the process of preparing and releasing content for general sale and consumption. The publishing process includes writing, editing, assembling, selling, and marketing a book, for example. Authors can publish content through a traditional publisher or, in some cases, publish their own works. The publishing industry hasn’t always been so diverse and accessible, though. From the very early days of cave walls, clay tablets and papyrus to the modern era of eBooks, the publishing industry has undergone many major changes. 1456: The Gutenberg Press publishes the first book ever: the Bible. 1776: Common Sense is written and self-published by Thomas Paine. He sold over 100,000 copies within three months. 1800s: The Penny Press arrives in the U.S., making newspapers and news accessible for a penny. Since more people can consume news for less (versus just the rich), letters to the editor increase. 1940-1970: The first eBook is published, although historians disagree on which one was truly first. 2000s: Social media sites like Facebook and Twitter emerge, as does blogging. Instead of sending letters to the editor, the masses take to blogging to share their voice and opinions. 2007: Print on-demand gains traction. Amazon releases Kindle. 2009: Self-published titles surge to double the amount of traditionally published titles. 2011: eBook sales surpass printed books for the first time in history. As for 2018, this year has seen an increase in traditional and indie bookstore sales. Audiobooks have also become the fastest growth area in self-publishing. Lastly, most authors are opting to become hybrid authors — meaning they make their books available in both traditional and electronic formats. How do they do this? Keep reading to find out. What’s the Difference Between Traditional and Self-Publishing? So, we’ve referenced traditional and self-publishing (or indie publishing) multiple times so far. What do these processes mean? How are they similar and different? Traditional publishing refers to the process of working with an agent and/or publishing house to edit, release, and market a book. Despite the lack of creative control given to authors in the traditional publishing process, once a publisher purchases a manuscript, they assume all financial risk with selling your book. New authors with little to no audience or follower base might choose to publish traditionally. On the other hand, self-publishing is when authors assume all creative and financial control of the publishing process. They choose which independent agents, editors, designers, and distributors to work with, and they assume all or most financial risk associated with putting their book out. Experienced authors or people with a large audience (from a blog or social media) might choose to self-publish. In the next section, we’ll discuss how to publish books via these different processes. Before we dive in, though, let’s define a few other popular terms in the publishing world. A literary agent is similar to a celebrity or sports agent. They act as a liaison between the talent (the author) and anyone who could profit from or work with the talent. Literary agents typically work with authors to pitch and secure contracts with publishers. They also represent authors if their book is sold to film producers or studios. Traditionally, literary agents are paid a percentage of any book sales negotiated on behalf of their client. How do agents benefit authors? Outside of making sales, literary authors connect their client’s work to publishers, negotiate contracts, ensure royalty payments, mitigate problems, and provide invaluable guidance and mentorship throughout the publishing process. Agents can also help new authors gain recognition and traction in the publishing world. Book publishers assume all responsibility of getting a book published. With a team of editors, designers, and marketers, publishers do everything (short of writing the book) in order to bring it to market. Some publishers specialize in a certain type of writing, whether fiction, non-fiction, or a specific genre. Also, depending on its size, a publisher might employ editors to manage the manuscript within each of those categories, thus diversifying the books and authors they represent. The following publishing houses publish the most books (and control over 60% of U.S. book revenue) and require agent representation to be considered for publication. Now that we’ve covered the basics of the publishing industry, let’s talk about how to get a book from the pages of your word processor to the shelf of your favorite bookstore. Because there are so many ways to publish a book nowadays, the “path to published” isn’t a straight line. There are many factors that can change the direction of that path — or put you on a new one entirely — such as book genre, literary agency (or lack thereof), traditional vs. self-publication, print vs. electronic publication … and the list goes on. The first step in publishing a book can be both the easiest and hardest step in the entire process — writing it. But before you dive in, you must ask yourself: What kind of book are you writing? If you’re writing a novel or memoir, you should finish your manuscript before approaching agents or starting the self-publishing process. Regardless of which publishing route you’re taking, make your manuscript the best content you’ve ever written. Hire a proofreader. Attend writing critique groups. Complete a few extra drafts. This will make it 1) more likely to get picked up by an agent or 2) sell well if self-published. This step is where the publishing process could take you in a few different directions. Below, we break it up into two main “paths”, per se. If you choose the traditional publishing route, you’ll need to either work with an agent or directly with a publisher. In today’s market, the vast majority of books acquired by the top publishing houses (mentioned above) are represented by agents. Imagine walking into a Hollywood audition without representation … that’s kind of like pitching a brand new book to a major publishing house. Literary agents help bridge that gap. If you aren’t interested in agency, you can work directly with a publisher — albeit a smaller, lesser known one. Thankfully, in today’s publishing world, there’s a good fit for every author and his or her work. It just takes some research. Here’s a (non-exhaustive) list of where to find agents and publishers. If you don’t feel like doing your own research, you can also hire help through services like Copy Write Consultants. For a fee, they’ll research agents and publishers and curate a customized, genre-specific list. They also review your queries and proposals. Once you’ve found the agents and/or publishers you’re interested in, it’s time to compile a query letter and pitch your work. Querying is sending an unsolicited proposal for representation, typically including an outline, synopsis, or first few chapters of a new manuscript. From that point, the agent or publisher can either reject or accept the query. Accepting the query involves requesting a full manuscript … which is why it’s handy to have your whole book completed before reaching out to agents or publishers. Note: Beware of con-artists posing as agents. Reputable agents never ask for a fee to read your manuscript; they only make money if they sell your book. Visit Preditors & Editors to check agent ratings and reviews. Next, if an agent or publishing house extends a contract, it’s time to sign. Take a moment to research the agent or publishing house by reviewing their past clients and books. Overall, trust your gut. You’ll work closely with this person and/or publisher and share your most intimate ideas and thoughts with them (in the form of your book). Be comfortable with your choice. Let’s say you sign with an agent. Here’s what that process would look like. You’ll work with him or her to review your manuscript, but at this point, you’ll likely only be making minor changes in preparation to pitch a publisher. These changes might include word count, book organization, or any big-picture plot holes. Remember, the book is still yours — you don’t have to change anything you don’t want to. Once you’re both happy with your manuscript, your agent will take it to various publishers. At this point, the fate of your book is out of your hands … which is why it’s important to sign with an agent you trust. If a publisher is interested, they’ll offer to purchase and publish your manuscript, and you’ll sign it over. Upon purchase, the publishing house will assign its own editor to your book. You’ll work alongside them to continue to tweak and revise the copy, as well as establish the book design, cover art, publishing date, and marketing strategy (which we’ll delve into next). The publisher will have its own team for these tasks, but you’ll likely still be involved. Now, let’s rewind and say you sign directly with a publisher. This process looks pretty similar, except you’d simply skip to Step 3. Okay. Let’s change directions and explore the self-publishing path. In the previous section, we discussed self-publishing and ePublishing, and we’ll expand more on these below. For the sake of equipping you with everything you need to know about publishing, we’re going to dedicate this section to the first method. But before we move on, let’s explore the second … just in case you’re interested. Hiring a company to self-publish your book is very similar to working with a publisher, except they typically charge an upfront fee, retain no rights to your work, and pass along 100% of your sales. While this method sounds like a great deal, it’s important to note that the best and most notable companies charge upwards of $20,000 … per manuscript. So, if you have a ton of money and no interest in being involved, this might be the move for you. Now, let’s talk about the first method: self-publishing completely on your own. This method gives you complete control over your book’s design, editorial process, and quality. Today that’s made easy by the myriad of freelance and independent editors, illustrators, book designers, and marketing professionals that work in this specific market. The first thing to determine when self-publishing is whether you’d like to publish your manuscript as a print or digital book. This will determine how you prepare your manuscript and who you hire to help you. Print production can be done in one of two ways: print on-demand or traditional printing. Print on-demand is printing your book one at a time, as it’s ordered. Traditional printing is typically how major publishing houses produce their books, and to follow this method, you typically have to commit to (at least) 1,000 copies. How do I plan to sell my book? Where will my audience discover and buy my book? Print on-demand is a great option for authors who plan to sell primarily online, such as through a website or Amazon. Traditional printing might be a good fit for an author who has speaking engagements or plans to make in-person sales. If you’re looking to stock your book in bookstores, it’s best to wait for a purchase order or sales contract before investing in a traditional print run. As for your budget, print on-demand can increase your per-unit cost (and retail price), but if you’re working with a small budget, print on-demand decreases the financial risk associated with publishing. On the other hand, if you’re confident you’ll be able to sell your printed books, traditional printing might be worth the bulk cost … with printing and shipping, it’ll likely be at least $2,000. Traditional publishers have a slew of professionals who take your Microsoft Word manuscript and turn it into a gorgeous book. As a self-publisher, that process is on you. Before taking your book to print, it must look like a traditional book. Tools like Book Design Templates can help you organize and design the inside of your manuscript. For the cover design, you can use tools like Canva (if you’re looking for a DIY approach) or hire a professional designer. At this stage, you should also consider your author biography and any positive reviews you’d like to put on the cover. ePublishing isn’t a synonym for self-publishing, but rather one way self-published authors might distributetheir work. ePublishers aren’t publishers; they don’t assume responsibility for the quality or organization of your work, and they don’t assume any rights. They’re merely distributors or retailers — such as an electronic bookstore or library — that take a portion of the proceeds from book sales. The below image is an example of the retailer fees by price point. Kindle Direct Publishing (KDP) is a popular ePublishing option offered through Amazon. KDP is considered an ePub retailer, on which authors can sell their books. KDP doesn’t work with authors beforehand; they simply provide a portal through which readers can find and purchase books. If you opt to self-publish digitally, you’ll need to tweak your manuscript. This process is similar to preparing your manuscript for print, except you’ll need to add another step: converting your file to an ePub format. EPUB, a standard format for eBooks. You can’t export an EPUB file from a Word document, but you can save your Word document as a text (.txt) file and convert and format it using a special software. MOBI, the ideal format for Amazon Kindle (although EPUB files work, too). PDFs work, too, although they’re not recommended as they are difficult to convert. If this process intimidates you, companies like Draft2Digital or eBookPartnership can help. But if your manuscript is mostly text, you should be able to handle conversion and formatting on your own. In terms of cover art, eBook covers will likely be seen in black and white, grayscale, color, high-resolution, low-resolution, thumbnail size, or full size … just to name a few. Digital books sales can take place on desktops, mobile devices, and in all resolutions. Because of this, it may be best to hire a designer who specializes in these formats. With the hard part behind you and one of these in-hand (or on your computer), you’re now ready to distribute, market, and sell your book. Note: If you’re working with a traditional publishing house, they’ll handle most of the marketing and distribution. That’s what your contract entails, after all. But that doesn’t mean you can’t help promote your book, too. Apply some of the self-publishing tips below to maximize your book sales. For self-published print books, the main success factors are your book quality and your cover. (That’s why the majority of this article is dedicated to preparing and publishing your book.) The main factors for eBooks include pricing (which should be similar to or a little less than your competition) and its positioning on Amazon or other digital bookstores. While you can’t quite control this, you can optimize your marketing description, author bio, cover design, and other components to ensure your book is seen by more people. There’s one factor that drives success for both print and digital books: audience involvement and visibility. This includes giveaways, reviews, contests, and drumming up interest before the publish date. Authors — especially self-published authors — should have a website, a blog, and social media (for starters) through which they can attract followers and promote their book. Loyalty is an incredibly strong motivator for books sales. The same goes for self-publishers. Your audience is critical for marketing and selling a book … which brings us to our next section: publishing tips in 2018. The publishing world has changed drastically, especially in the last 20 years. Outside of self-publishing, ePublishing, and audiobooks, what else is new? What are some tips for modern-day publishing? Keep reading to find out. Crowdsourcing isn’t reserved for fancy backpacks or new technology. Self-published authors can thrive there, too. Not only does crowdsourcing provide you with an advance of cash that can help with upfront editorial or printing costs, but it can also create a unique audience of people who are both fiscally and emotionally invested in the creation of your book. It also builds a sense of exclusivity as your supporters are the only ones who’d receive your book … at least in the beginning. Services like Kickstarter and Indiegogo can help host a “pre-book tour” that raises funds and a following. Is this your very first book? Well, maybe you should take this guide one step at a time. Given the lower financial and physical commitment of publishing an eBook, many first-time authors use that process as a springboard into the world of authorship. Publishing an eBook allows you to get your work out there while building up a readership and garnering name recognition. Then, when you’re (hopefully) ready to publish your second book, your readers can anticipate a digital and hard copy. Let’s take a step back. If this is your very first book, and you have yet to write a word much less attract an audience, it may be more realistic to start with a blog. Blogging is completely risk- and cost-free yet attracts a readership and following via email and social media. Once you drum up enough attention, then you can dive into writing a book … with the confidence that your audience will want to read that, too. Just like coffeeshops love supporting local farmers and art galleries love supporting local artists, indie and independent bookstores love supporting local authors. Selling books written by local authors attracts, well, local customers and celebrates the community that the shop is a part of. Local bookstores (like coffeeshops) are community hotspots — they support the community, sponsor local programs, sell unique content (not found at national chains), and host events. When pitching to a local bookstore, consider how your book supports their mission as said hotspot and how selling your book might bring other locals there, too. From querying an agent to working with an indie book cover designer, there are a myriad of players in the wild world of publishing. No longer are book jacket biographies reserved for the rich, famous, or uber-successful. Anyone and everyone can publish their thoughts and ideas — including you — and this guide can help you do so.